A woman has died following a collision on the northbound carriageway of the A1 in Cambridgeshire. The incident, involving a Ford Focus and a Vauxhall Astra, took place at Eaton Socon, St Neots, at 3.10pm yesterday, Thursday January 26. Sadly the driver of the Ford Focus, who was in her 30s, died at the scene. The road was shut in both directions while the air ambulance landed at the scene and fire and ambulance crews worked. The southbound carriageway was re-opened at rush hour, but the northbound carriageway between Wyboston Lakes and Eaton Ford remained closed until 10.30pm. 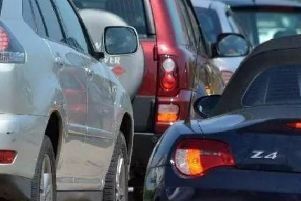 Drivers heading northbound towards Peterborough reported delays of three hours.